Lanco Infratech’s recent talks with bankers to get its Rs 9,000-crore (Rs 90-billion) domestic debt restructured might not be a one-off instance of power-business stress leading a company to corporate debt restructuring. Many power assets bagged on lowest tariff quote, under long-term power purchase agreements, are expected to end up in a queue for debt recast, mainly because of fuel problems facing the sector. According to estimates, Rs 50,000-crore (Rs 500-billion) loans for power projects totalling over 15,000 Mw of capacity could become troubled loans. “Contracts for many projects awarded through competitive bidding in 2007 and 2008 are in dispute now,” says Debashish Mishra, senior director, Deloitte Touche Tomatsu. Now, independent power producers, managed by the private sector, might also jump the tricky power-sector debt restructuring bandwagon -- loans to state-owned power distribution companies (discoms) under a Union government package are already being restructured. 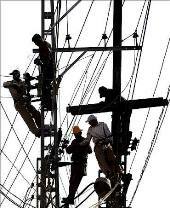 Banks’ exposure to discoms was estimated at Rs 1.90 lakh crore (Rs 1.90 trillion) when the package was announced last year. Tamil Nadu, Uttar Pradesh and Haryana, involving debt of around Rs 26,970 crore (Rs 269.7 billion), have already availed of the package. Fitch Ratings Senior Director S Nandakumar says around seven per cent of the loans for the companies his firm rates has been downgraded to the ‘C’ or ‘D’ level over the past six months. “Around 2,000 Mw of power capacity is in the danger of default or loan restructuring,” he said. due to short domestic supply. Besides, state electricity boards’ weak financial health and reduced power-purchasing capabilities have lowered demand for power. “There’s a large bucket of projects that are to be completed by March 2015 but have yet to be offered fuel supply agreements,” says Mishra. The government has relaxed the condition for signing FSAs by keeping only signing of power purchase agreements mandatory, and not the actual coal supply. But the supply situation is not likely to improve and is dependent on Coal India ramping up its production exponentially. Experts say a bigger worry is for projects that have already announced their commercial operation date. These projects will have expectations of revenue potential, while issues relating to increased project cost due to delays affect the ability to service debt. To avoid this situation, many banks are learnt to have asked companies to go slow on their construction period. “Loan repayment starts only after projects become commercially operational. “After that, if they do not operate because of fuel shortage, the exposure turns into bad loan. “So, banks have been requesting promoters to go slow on projects,” said a banker, asking not to be named. Loan to the infra sector might no longer be in banks’ ‘good loan’ books. “The year 2013-14 is the third straight one of economic uncertainty,” says an IDBI Bank official associated with corporate banking. “There was some hope for power sector units (thermal power). But chances of getting fuel linkages look remote. Lenders will have to restructure their debt. “That’s the only way to contain the hit on banks’ balance sheets,” he adds. Future of flying: Solar-powered planes? SOLAR plane: From San Francisco to Phoenix in 18 hours!